If scientists invented an anti-ageing pill that would help you live to the age of 120, would you take it? Think carefully, because if it sounds like science fiction, it’s not. Ageing is a treatable disease like any other, according to some scientists, who are already testing drugs that could add decades to our life expectancy. Anti-ageing drugs under development right now could add a decade or more to life expectancy, scientists say. Photo: Public Domain Pictures. Geroscience is not about finding the mythical eternal life elixir, helping people to look younger or keeping people alive when they’re already infirm and unwell. Instead, this branch of science focuses on how to prevent age-related diseases – from cancer to Alzheimer’s – by prolonging good health. This area of research is being studied around the world, but scientists in Russia have an extra incentive. 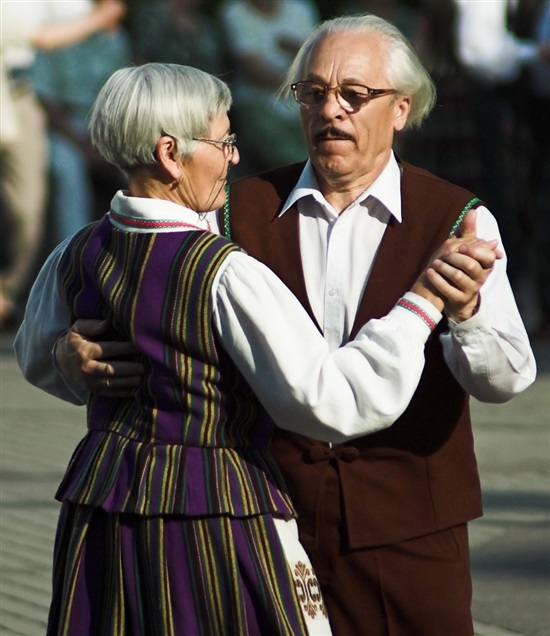 “Comprehensive geriatric assessments show that if in the U.S., 7 percent of people over 65 have frailty syndrome [scientists identify frailty as the clinical sign of ageing], in Russia it’s 20 percent – one in five people,” says Olga Tkacheva, director of the Russian Clinical Research Centre for Gerontology, part of the Pirogov National Research Medical University. “Our population is ageing faster, so it’s totally natural that our life expectancy, while rising, lags behind Europe and Japan,” said Tkacheva, speaking at a panel discussion devoted to ageing and regenerative medicine held as part of the Skolkovo Foundation’s Startup Village event last month. The average life expectancy in Russia is 71.6, according to Health Ministry statistics from 2014, compared to 80.6 years in the EU in 2013. Japan has the highest life expectancy in the world, at 83.7, according to World Health Organization figures for 2015. Russian figures have however risen dramatically in recent years: just 10 years ago, the life expectancy was 66.6, according to the state statistics service. If the idea of wanting to live longer seems unnatural or outlandish, scientists point to how much life expectancy has already grown in the last few millennia. "Ageing is a disease: it has its symptoms and it can be treated." “In Ancient Egypt, the life expectancy was 22 years. In Ancient Rome, it was 24 years, in mediaeval Europe, it was 21, and even in 19th-century Europe it was 37 years,” said Irina Chukaeva, a professor at the Pirogov National Research Medical University, who moderated the discussion. Those figures were so low largely due to very high infant mortality rates,however, meaning people who survived childhood would often live much longer than those averages. Some of the key aims of clinical studies in gerontology are to identify biomarkers and clinical signs of ageing, said Tkacheva. These include metabolic status, composition of gut microbiota, low-grade inflammation, vascular ageing (arterial stiffness, for example), hormonal status and sleep disorders. To this end, the Gerontology Centre is studying people aged 100 and over in Moscow. “There’s actually quite a few of them: according to [city statistics service] Mosstat data, about 3,000,” said Tkacheva, who is also the senior geriatrician for the Moscow Health Department. The Moscow Centenarian project aims to create a model of “healthy ageing” based on a comprehensive study of the social status and clinical and laboratory data of the city’s centenarians. GERO, a resident startup of the Skolkovo Foundation’s biomed cluster, is also focusing on biomarkers in its quest to find the secret of keeping the symptoms of ageing at bay. It aims to identify biomarkers for age-associated causes of mortality. “GERO is conducting a study to identify molecule-biomarkers of ageing in human blood to develop a laboratory-available, simple and industrially applicable method for biological age assessment,” Maxim Kholin, deputy director and co-founder of GERO, told the panel discussion on ageing and regenerative medicine. Scientists distinguish between a person’s chronological age and their biological age – the state of their body – which may be quite different. Geroscience does not focus on treating ageing simply for the sake of it. It sees ageing as the underlying cause of many other diseases, such as cancer, kidney failure, diabetes and dementia, and some scientists believe it will be easier to treat the cause itself than those individual diseases. 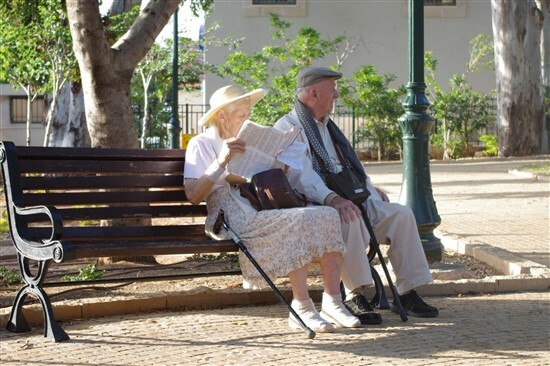 Research into extending healthy lifespans has already moved well beyond the theoretical stage. Dozens of drugs and therapies have been proven to significantly prolong the lives of lab animals including mice, worms and yeast, so why should they not work on humans, argues Kholin. There is in fact evidence that they do, albeit somewhat accidental. When testing a drug called Metformin developed for diabetes patients, doctors found that the mortality rate of diabetic patients who were taking the drug was lower than that among the healthy control cohort of the same age, who would normally be expected to live on average eight years longer. In late 2015, the U.S. Food and Drug Administration approved clinical trials of Metformin’s use specifically as an anti-ageing drug. “It’s been shown that diabetics – ill people – who take Metformin live longer than healthy people who don’t take it,” said Kholin. The aim of geroscience is to help people remain healthy for longer. Photo: Wikimedia Commons. Andrei Gudkov, senior vice president for fundamental science at the Roswell Park cancer institute in Buffalo, New York, approaches the issue from a position influenced by his experience as a cancer specialist. Cancer treatments do not just kill the cancer cells being targeted, but can also have a detrimental effect on people’s overall health. “The advances of oncology are creating a growing population of cancer survivors who suffer from the long-term effects of cancer treatment that reduce longevity and affect quality of life,” says Gudkov. “We’re curing one disease, and creating a market for another,” he said. According to Gudkov, it’s as simple as this: “No senescent cells, no ageing.” Gudkov is a member of another Skolkovo biomed startup devoted to slowing the ageing process: Tartis-Aging, which works on the selective elimination of senescent cells. If senescent cells are indeed responsible for ageing, then ageing is a significantly more simple disease to treat than cancer, argues Gudkov, as cancer cells proliferate and become resistant, in keeping with the laws of Darwinism. While cancer treatment requires the difficult task of eliminating all cancer cells, it is easier to eliminate or block the number of senescent cells to slow down the ageing process, he says. Earlier this year, the results were published of an experiment in which molecular biologists at the Mayo Clinic in Rochester, Minnesota injected lab mice with a drug that either killed off their worn-out (senescent) cells, or blocked their effects. The mice remained healthier for longer, and lived 20-30 percent longer, the scientists reported in Nature magazine. “They lived a few months longer – the equivalent of a decade in humans,” Gudkov said. Most importantly, their frailty index decreased sharply. “The mice live up to 30 percent longer and die young, which is essentially our dream,” said Gudkov. Scientists working in geroscience may not yet fully agree on the best treatment, but they are agreed that ageing is a treatable disease.